When you need to ship a car to or from Kodiak, Alaska Car Transport is the most reliable way to go. We manage Kodiak car shipping for both individuals and companies, moving thousands of vehicles on a yearly basis. Through our advanced network of transportation professionals, we can simplify your automobile relocation. To calculate your shipping rate instantly, visit our online quote calculator or call (907) 331-3100 to receive a rate by phone from an experienced Alaska vehicle shipping coordinator. At Alaska Car Transport, our goal is to make Kodiak vehicle shipping fast, easy, and affordable for everyone through our competitive shipping rates, advanced transportation technology, and quality customer service. Use the information and links below to start planning your vehicle shipment to or from Kodiak, Alaska. Alaska Car Transport is a 5 star rated shipping company and we take customer satisfaction seriously. We have five star ratings across all major industry review boards and we are here to serve you. Our mission is to ensure that each and every customer has a positive shipping experience. Our network of certified vehicle shipping professionals work around the clock to ensure that each and every shipment is handled correctly from start to finish. We have the resources available to quickly and safely transport any vehicle, motorcycle, boat, equipment, machinery, RV, ATV, snowmobile or trailer! Our track record speaks for itself. We take great pride in providing our customers with industry leading customer service. We believe strongly that word of mouth is the most valuable sales tool and we go to great lengths to ensure that every customer has a positive auto shipping experience. How can I book my shipment? For your convenience, you can book your shipment securely online 24 hours a day. If you would prefer to book your shipment with a shipping coordinator, please call (907) 331-3100. What do I need to set up my shipment? How long will it take to ship my vehicle to or from Alaska? Transit times vary depending on the origin and destination of your shipment. You can visit our transit times page to view delivery times for your specific route. 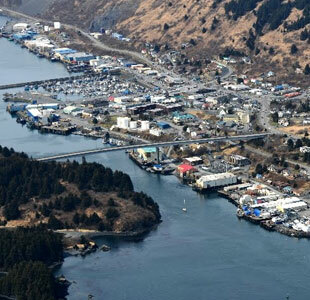 Can I have anything inside my vehicle when shipping to or from Kodiak? Yes. If you would like to ship personal belongings inside your vehicle, it must be discussed prior to your vehicle being shipped. Your shipping coordinator will notate the weight of the personal items inside the vehicle and your rate will be updated to include personal belongings. We accept Visa, Master Card, American Express, Discover, electronic transfer, money orders, and company checks. Payment must be made in full prior to the date of your shipment. What else do you ship other than vehicles? We specialize in shipping many other types of cargo to and from Alaska aside from passenger automobiles. We can safely ship motorcycles, boats, RVs, Heavy equipment & any other oversized shipment. If you would like to speak with a shipping coordinator regarding your transport, please call (907) 331-3100 between the hours of 8:00AM - 5:00PM PST.